Eddy, A., S. Haultain, A. Heard, J. Nesmith, & L. Mutch. (2017). Why do we monitor? Changing Landscapes in Sierra Nevada National Parks. 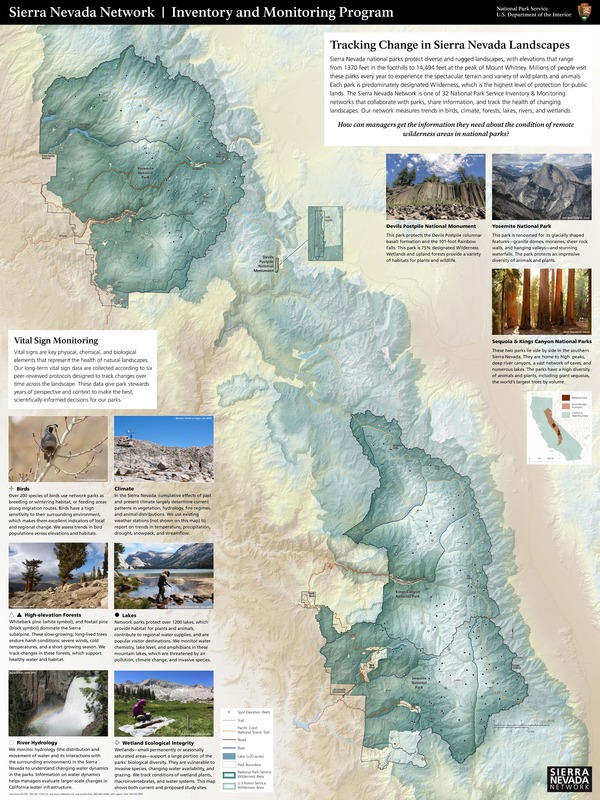 Poster originally presented at ESRI User Conference, San Diego, CA, 10 – 14 July. Revised early 2018 for science communication purposes.